This book of chess exercises has been written by experienced coach, Maxim Blokh, an International Correspondence Grandmaster. 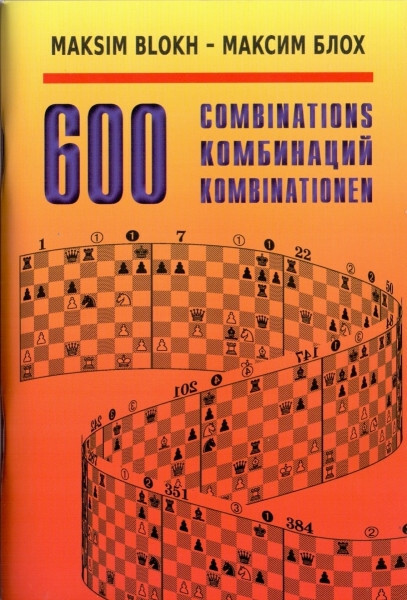 It contains more than 600 exercises, classified by combinative motifs. This carefully planned approach aids the development of combinative vision and enables the book to be used as a chess manual. The exercises are distinguished by a tense fight, and usually there is only one way to the goal. The book is intended for ordinary schools and colleges, as well for specialist chess courses, and it can also be used as a self-tutor. In both cases a certain basic chess knowledge is assumed.